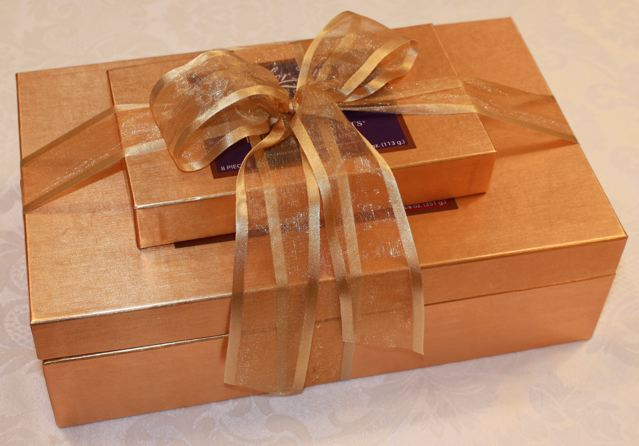 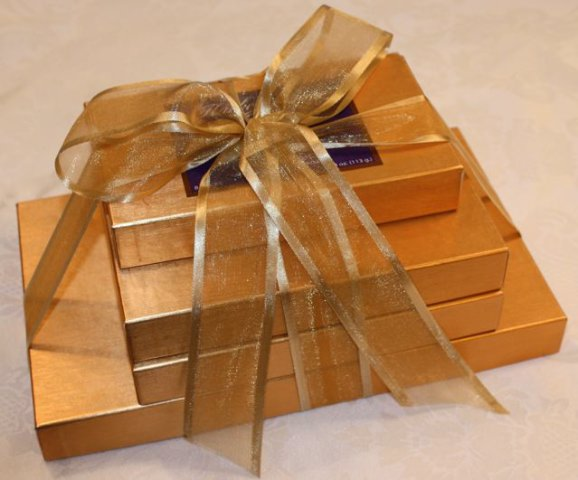 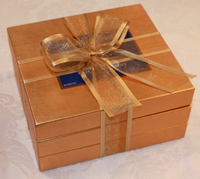 The Harbor Sweets 30 piece Gift Tower consists of 3 elegant hostess boxes featuring 30 of our most popular chocolates including 12 Sweet Sloops (Sailboat shaped almond butter crunch covered with white chocolate and dipped in dark chocolate and crushed pecans. 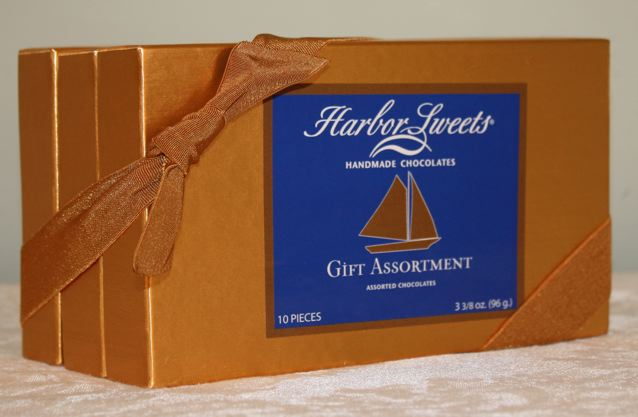 ), 8 Harbor Lights (cranberry raspberry truffle) and 10 assorted Harbor Sweets (Sand Dollars, Sweet Sloops, Periwinkles, Friendship Sweets and Barque Sarah). Please note: These unique chocolates are shipped directly from the factory in Massachusetts and require at least 3 business days for delivery.